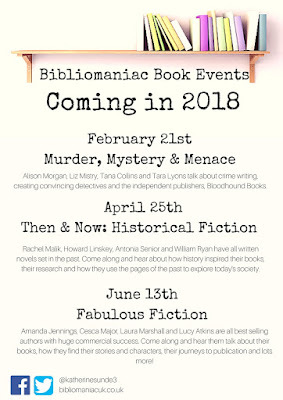 A Bibliomaniac Book Event with Susi Holliday, Sue Moorcroft, Jules Wake and Chloe Mayer. 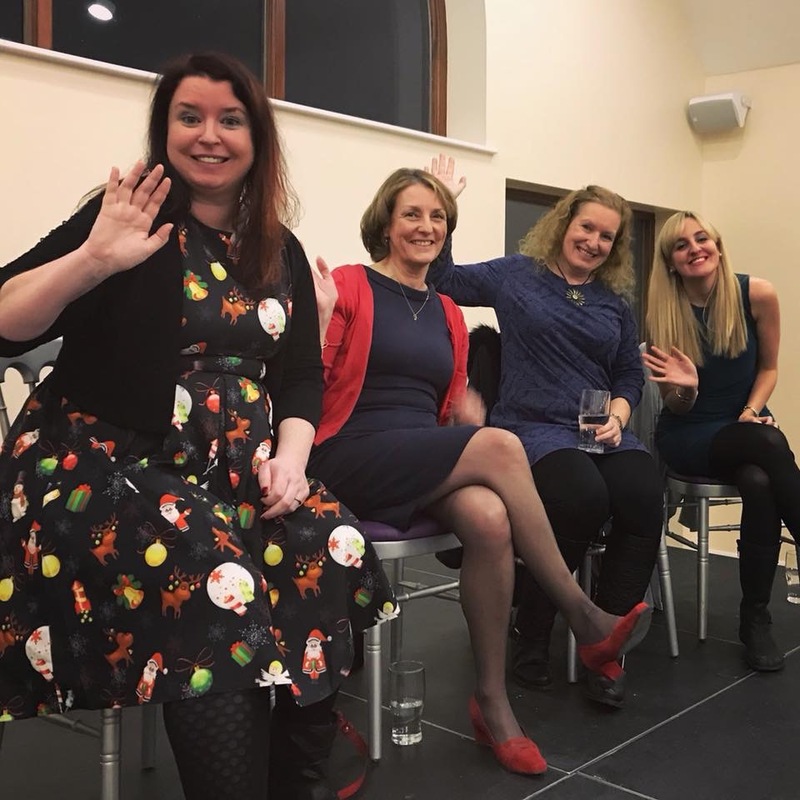 On Wednesday, I hosted an author panel event with the lovely Susi, Sue, Jules and Chloe at Bennets in Harpenden. The event was an incredible success with an audience of 80 and the panelists were brilliant. 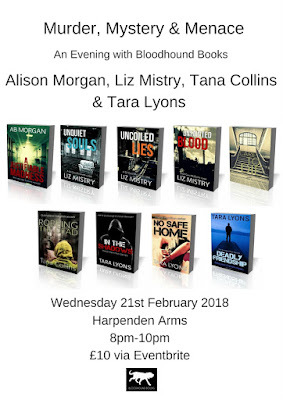 Thanks so much to Ines and Steph from Harpenden Books for coming along and selling the authors' books on the night and for all their support in the run up to the event. 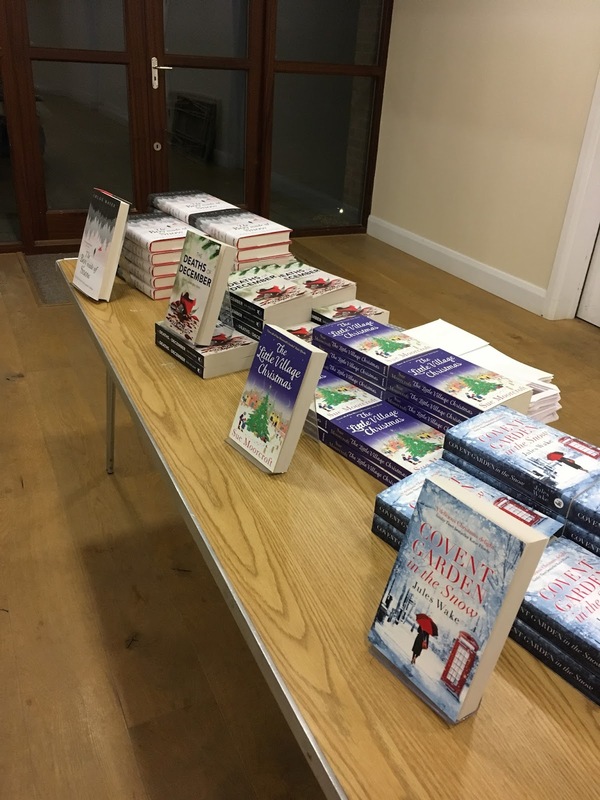 And a massive thank you to all the bibliomaniacs and book groups in Harpenden for coming along and for helping celebrate Christmas with my 7th book event of 2017! 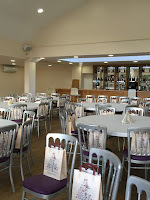 Here's a few photos from the evening! We started the evening with an introduction from each of the authors about their book which you can see a bit more about below. 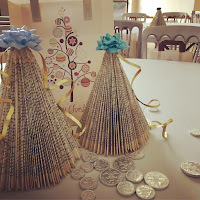 We then chatted about the main difference between writing a Christmas title as opposed to their previous titles. 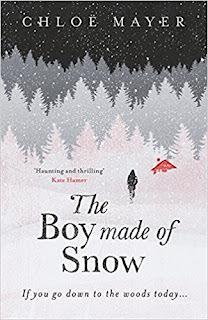 Susi talked about about the strangeness of writing about snow and Christmas in the middle of April and trying to feel festive or cold when the sun is shinning! She has also had a very hectic promotional schedule as the book was published in October and it has been non stop for two months with launches, book events, festivals and promotion ever since. 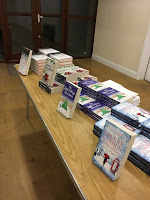 Jules and Sue had both written stories or had ideas for stories which then the publishers decided to make Christmas titles, so Jules found herself rewriting huge chunks of her novel to move the timeline into December and the run up to Christmas Eve, and Sue had to ensure she set her story firmly in December and focus on the run up to Christmas as well. 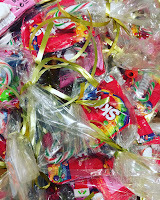 They both agreed that actually, for their characters, it was more fun to set the story around Christmas as people are under more pressure, and relationships, decisions and dilemmas are more intense at this time so from a writers point of view, you can really challenge your characters and develop the drama and tension with a Christmas storyline. Chloe's book is not a Christmas story but is inspired by the fairy tale The Snow Queen and features a lot of snow and winter time. Ironically she wrote the story while working in LA in a tiny apartment with no air conditioning while she was feeling homesick. Chloe found Christmas in the sun was 'just not right!' and she wonders whether this is why she found herself setting her story in England and in winter. The hotter she got, the colder the book got! However, Chloe really just had an idea and the novel grew from that so the setting is secondary to the concept that initially inspired her book. We chatted about the process of writing, research, deadlines, writing in a series and the juggle between a day job and being an author. 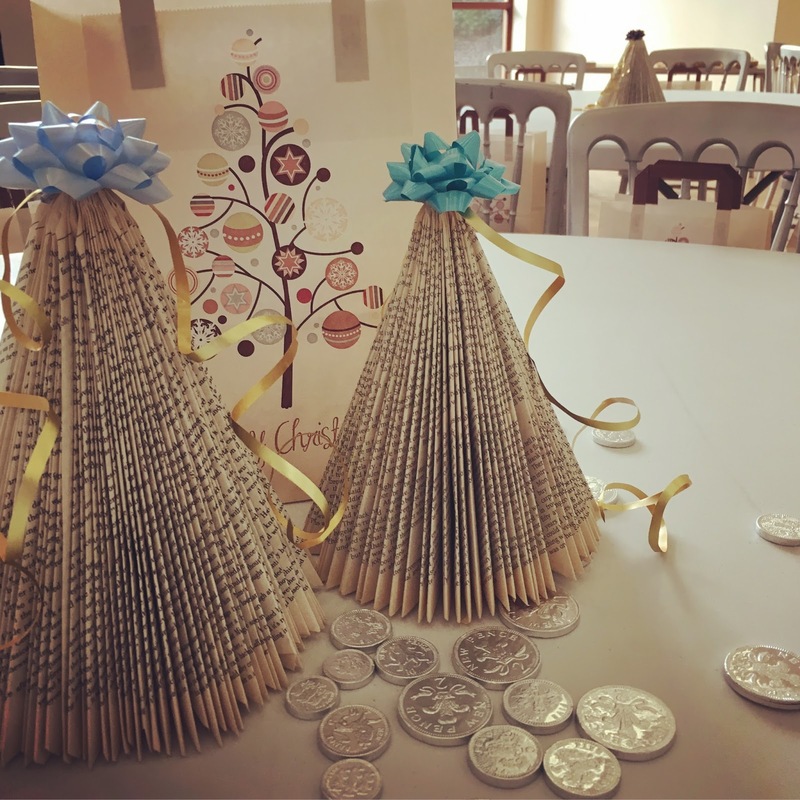 I also asked the authors a few Christmas related questions like what might their characters want for Christmas, how might their characters be spending Christmas as well as their own plans for Christmas and what projects they were planning for the New Year. I did ask which book they were all hoping for under their Christmas tree this year ... Jules loves Jane Austen so she would love a beautiful edition of Persuasion, Sue is a huge Formula One fan and there was a particular book she mentioned but, alas, I cannot remember - sorry Sue, Formula One is not something I know anything about....!!! One thing we discovered during this chat is that publishers send advance copies of books out to authors to read before publication and this is how they gather reviews and quotes for the paperback copies we see in the shop. Chloe has been inundated with new books to read from other authors since becoming published so currently has a pile of 43 books to read! So no more books please but maybe just some time to read them! (Every book blogger nods vigorously in agreement and adds the same wish to their list!) Susi has read a lot of the up and coming titles for 2018 and a lot of the best reads for 2017 so she would like a book that she has heard nothing about at all.... something that she has missed or not come across at all yet.... A challenge there, if anyone chooses to accept! 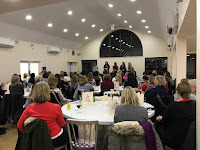 It was a fantastic evening, lots of fun and the authors were so interesting to chat to and it is always fascinating to hear more about their books, their writing life and their reading habits. Thanks again ladies for coming along and we hope to see you again in Harpenden soon! 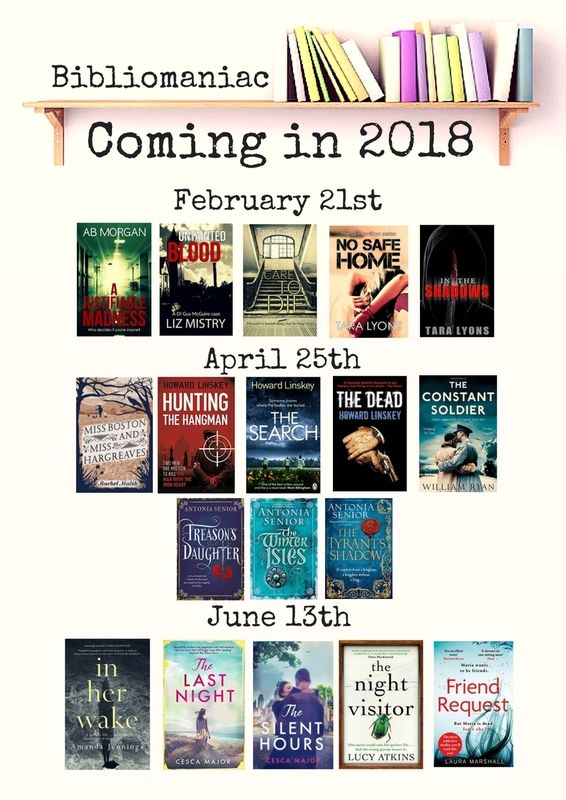 Here's a bit about each of their books and look out for my reviews which are coming very soon! 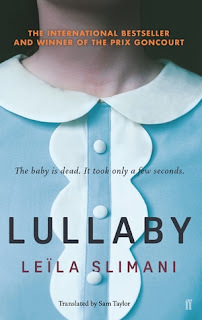 I have actually reviewed Susi's book already as I was on the Blog Tour so you can read it here. 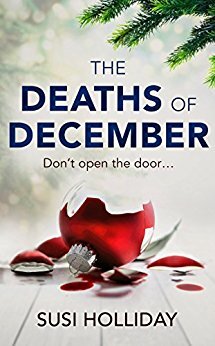 The Deaths of December is a fantastic concept - an advent calendar arrives at a police station and behind each number is the photo of a crime. As the police find out more about the photos they realise that some of these murders are from several years ago and then there is a race against the clock to solve the mystery before Christmas. It's an absolutely brilliant read - a great police procedural with plenty of tension and deliciously dark. A perfect Christmas crime novel! Sue's book is a lovely Christmas read - it's got everything; romance, drama, comedy and plenty of Christmas sparkle! Sue writes really well with a great balance of humour and emotion. Her characters are vivid and easy to relate to and again, Sue writes with a great balance of action as well as the emotional journeys of the characters. From the moment you open the first page, you will be caught up in the life of Alexia and the goings on in Middledip. 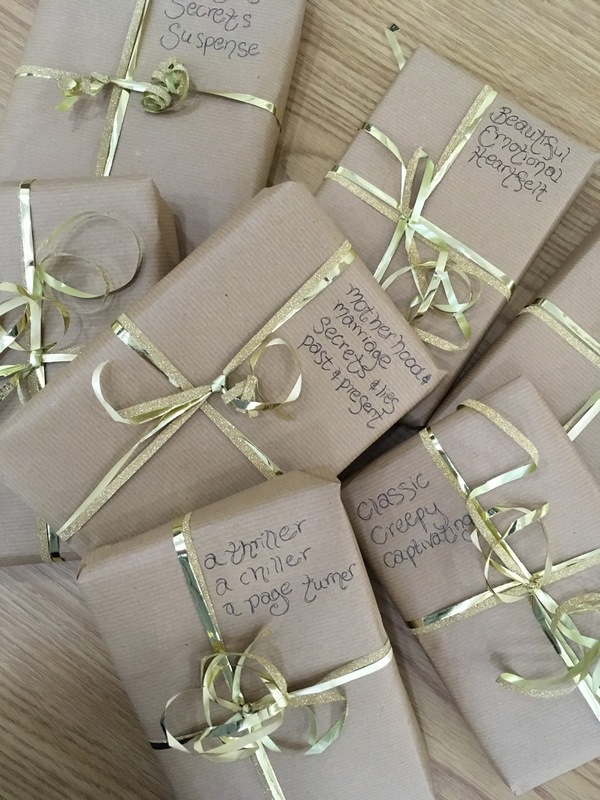 A perfect gift for Christmas and a lovely book to curl up with this winter! This is also a gorgeous read. Tilly is a make up artist at an opera company and the story has everything you need for a great, engaging read. 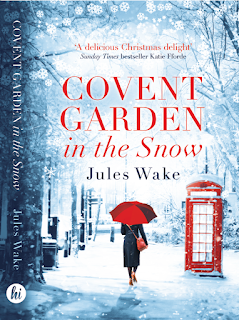 Jules' writing is warm and gently humorous and she captures the dilemmas, decisions and drama of the characters really well. 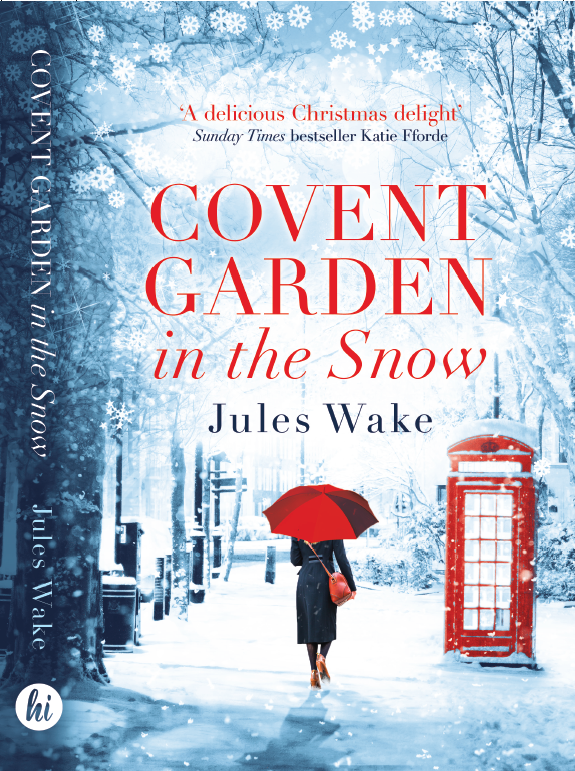 The setting of Covent Garden and the opera company are really well captured and this is a great story to lose yourself in. Tilly is very likeable and the reader really wants to follow her emotional journey. It's a heartwarming story and perfect for reading over the festive season. Tilly Hunter has fabulous friends, her dream job as a make-up artist with a prestigious opera company and Felix, her kind and caring husband to be. It looks set to be the most perfect Christmas yet! Super serious and brooding, Marcus hasn’t got a creative bone in his sharp-suited body. For technophobe Tilly, it's a match made in hell. 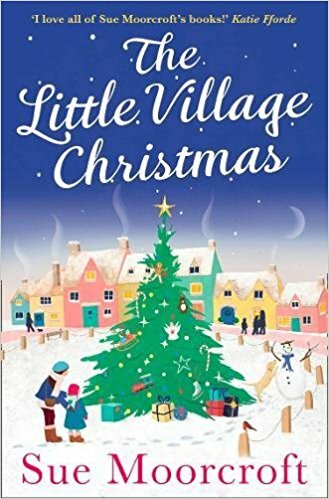 And yet, when Tilly discovers her fiancé isn’t at all what he seems, it's Marcus who's there for her with a hot chocolate and a surprisingly strong shoulder to cry on … He might just be the best Christmas present she’s ever had. This is an incredible read. Chloe's story is compelling, moving, harrowing at times but always beautifully executed. Her writing is lyrical, poetic and cleverly weaves in the echoes of fairy tales with the real lives of the characters. 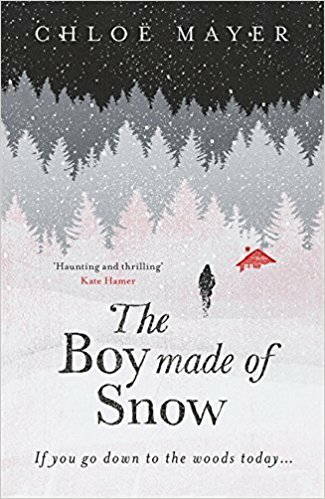 As a debut novel, it's stunning and although fully of darkness, this is a book not to be missed. 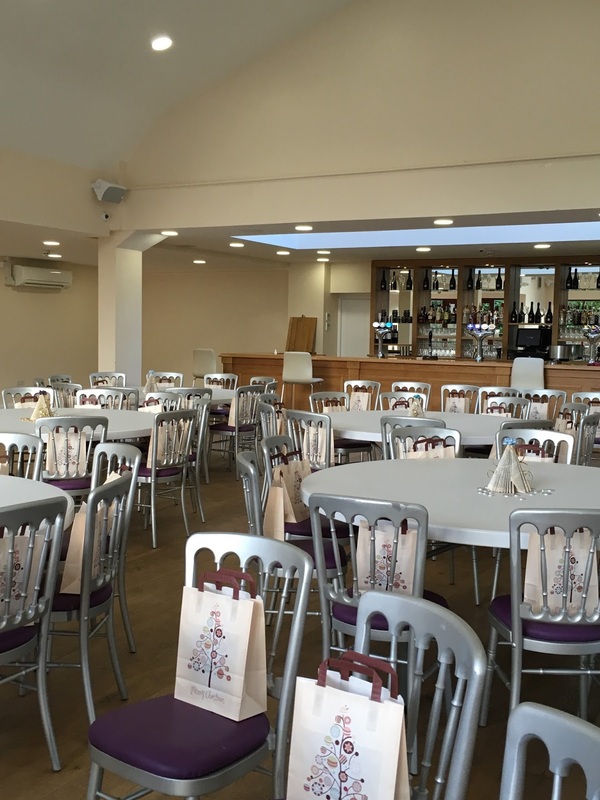 Thanks again everyone for such a fantastic evening! I hope you will check out these books as I recommend them all! 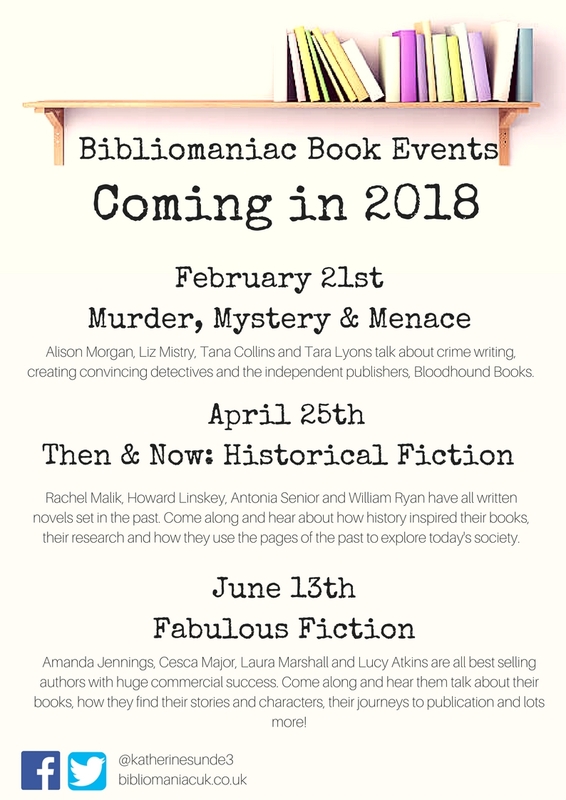 Look out for my book events in 2018 - I have some incredible authors lined up already! Make sure you follow me on Twitter or Facebook so you don't miss out on tickets or any future events!